A very attractive lyrical composition for two guitars. Reflections was originally written as a guitar solo for the Scottish guitarist Philip Thorne who premiered it in 1995 on BBC Radio Scotland. 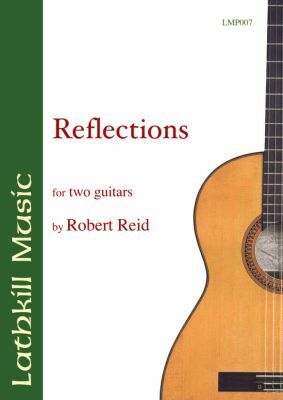 In 1997 Robert Reid was asked to arrange the work for the Scottish Guitar Duo of Selena Madeley and Philip Thorne, and this published version is the result. 7 pages with separate score plus individual parts for both players.